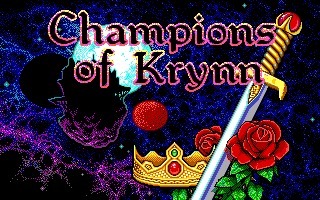 Champions of Krynn is the first chapter of the role-playing games series created by Strategic Simulations Inc, based on the Dragonlance settings of Advanced Dungeons & Dragons. 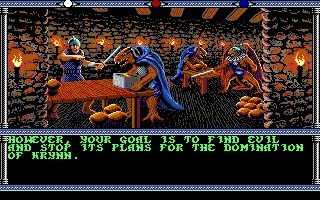 The game, designed by Dave Shelley, Michael Mancuso and Ken Humphries, was released in 1990 for the Commodore 64, Amiga, Apple II and DOS (EGA graphics only). 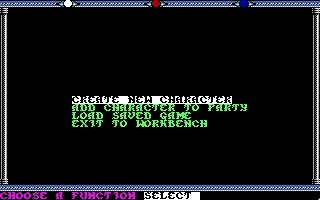 It uses the so-called "Gold Box" game engine, previously used on Pool of Radiance and Heroes of the Lance. 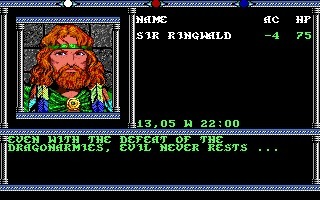 But compared to these older titles, Champions of Krynn presents many improvements, including a vast world to explore and an intricate plot and sub-plots. 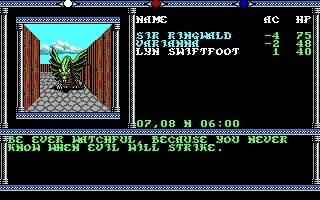 It got many positive reviews, especially on 8-bit platforms, where the game was a huge hit. 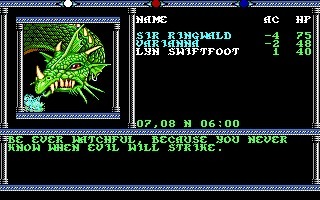 Champions of Krynn offers a mix of 1st-person view, during dungeons explorations, and top-down perspective, during the turn-based combat. This means gameplay is entirely different compared to other titles such as Bard's Tale, where fighting was in 1st-person. 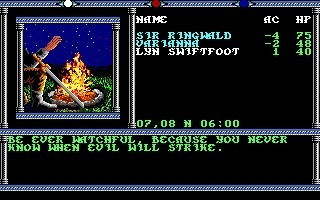 On the Amiga, graphics could have been much better, but the game is still great. All the D&D fans will love the party creations, the different races, the characters evolution and, of course, the Dragonlance/Krynn settings.